Tench Class Submarine: Laid down, 2 October 1944, at Portsmouth Navy Yard, Portsmouth, Kittery, ME. 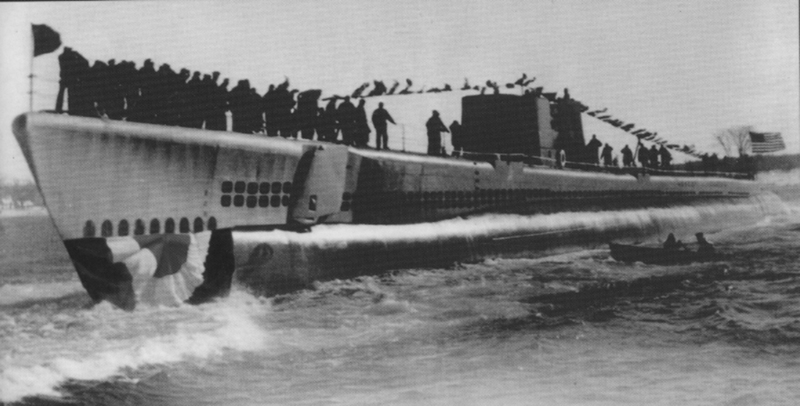 ; Launched, 26 January 1945; Commissioned USS Irex (SS-482), 14 May 1945; In December 1946, the Irex was ordered to the Portsmouth Navy Shipyard for an installation of the first completely functional version of a snorkel, making the Irex the first operational U.S. submarine so equipped. 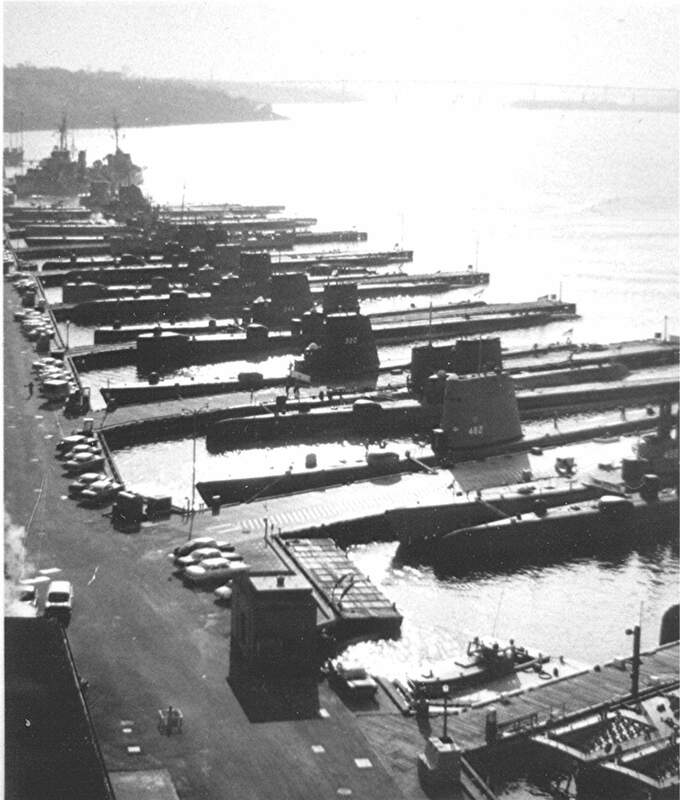 Work ended in February 1947 and sea trials were done from July 1947 to February 1948. Reclassified Auxiliary Submarine on 30 June 1969; Decommissioned and simultaneously struck from the Naval Register, 17 November 1969; Final Disposition, Sold 13 September 1971 to North American Smelting Co., Wilmington, DE for $ 80,676.00. Scrapped by American Marine Salvage Co., Bordentown, NJ. Specifications: Displacement, Surfaced: 1,570 t., Submerged: 2,414 t.; Length 311' 8"; Beam 27' 4"; Draft 15' 3"; Speed, Surfaced 20.25 kts, Submerged 8.75 kts; Cruising Range, 11,000 miles surfaced at 10kts; Submerged Endurance, 48 hours at 2kts; Operating Depth, 400 ft; Complement 7 Officers 69 Enlisted; Armament, ten 21" torpedo tubes, six forward, four aft, 24 torpedoes, one 5"/25 deck gun, two 20mm guns, two .30 cal. machine guns; Patrol Endurance 75 days; Propulsion, diesel-electric reduction gear with four Fairbanks Morse main generator engines, 5,400HP, Fuel Capacity, 113,510 gal., two Elliot Motor Co. main motors with 2,740HP, two 126-cell main storage batteries, two propellers. 176k The Rainbow runner, or Irex, from the Carandidae fish family. Photo courtesy of wikimedia.org. 328k The largest steel member of the Carandidae family, the Irex (SS-482), spawns on 26 January 1945. 21k Commemorative postal cover marking the Irex's (SS-482) launching at Portsmouth Navy Yard, Portsmouth, Kittery, ME., 26 January 1945. Courtesy of petloveshack.com. 128k After shakedown in the New London area, Irex (SS-482) sailed for the Pacific via the Panama Canal. While she was in the Canal Zone, the war ended. 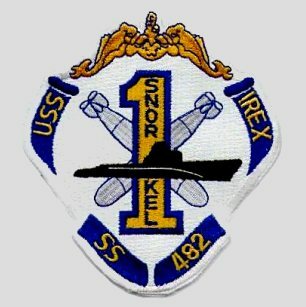 Irex was ordered to Key West, where she joined Submarine Squadron 4. She spent the remainder of the year there and at Guantanamo Bay conducting exercises. She is seen here in Key West Fla, 1946. Text courtesy of DANFS. Photo courtesy of Chris Easton son of XO & submitted by John Hummel, USN (Retired). 23k By December 1946 the Navy had completed plans for the modern telescopic snorkel (a device to enable diesel-powered submarines to run submerged for long periods of time), and Irex (SS-482) was ordered to Portsmouth for installation and test of this equipment. 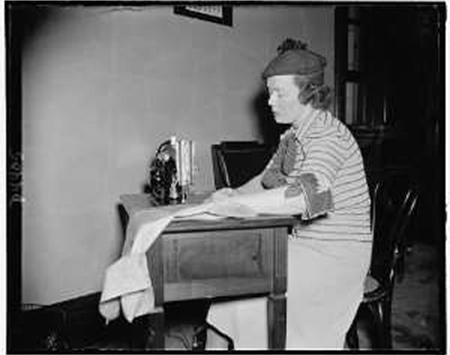 She spent July 1947 to February 1948 evaluating her new apparatus and then joined Submarine Squadron 8 at New London as the U.S. Navy's first operational snorkel submarine. Pictured here is a typical snorkel arrangement for a GUPPY or fleet snorkel submarine. It was the key to sustained submerged operation. The two vertical masts are the 15-inch induction & exhaust. The induction masts lead into a moisture separator and then, via a 22-inch pipe, into the main induction valve. Dual 15-inch pipes lead air into each engine room. The engine room acts as a plenum, feeding the two diesel engines, which keep running even if the snorkel head closes temporarily as a wave sweeps over. By way of contrast, each engine exhaust leads directly into an uptake, exiting either through a car-type muffler or via the snorkel exhaust trunk. Most of this piping was led under the superstructure abaft the submarine's sail. 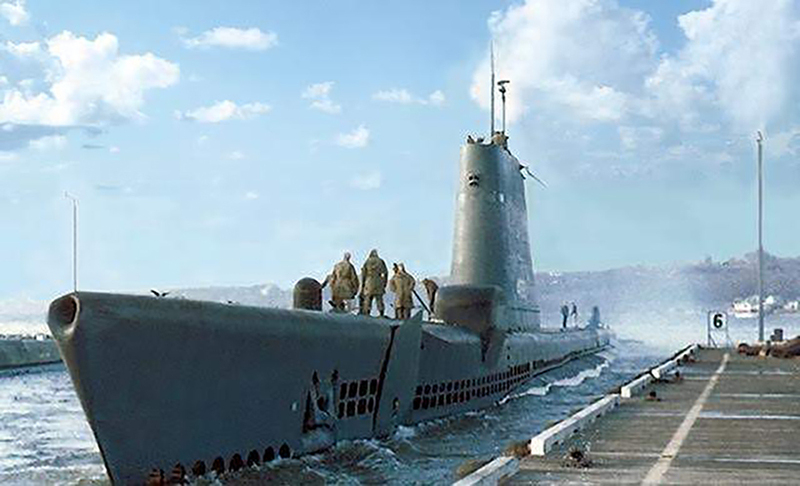 Later submarines had their induction and exhaust pipes combined into a single mast. U.S. snorkels used electrodes to sense water sweeping over the snorkel head. 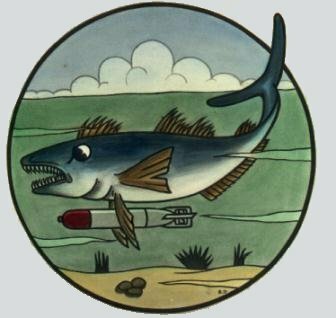 Photo & majority text courtesy of U.S. Submarines Since 1945, An Illustrated Design History by Norman Friedman & James L. Christley. Partial text courtesy of DANFS. Naval Institute Press. 10k Commander Leslie S. Robinson was the commanding officer of the Irex (SS-482) from 13 January 1949 to 28 April 1951. Photo from the Clinton (APA-38) 1960 cruise book courtesy of Bill Gonyo. 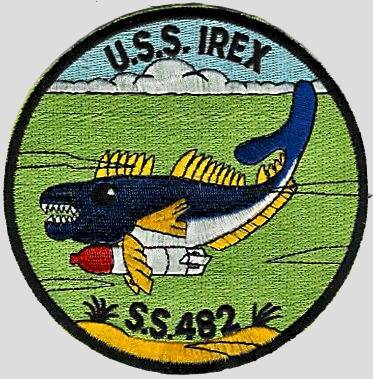 1.40k In May 1951 Irex (SS-482) was assigned patrol duty in the North Atlantic and in August commenced operations out of Key West and Cuba. Returning to New London in the fall, Irex continued her important training out of New England and in the Caribbean until 26 October 1953 when she sailed for the Mediterranean to join the 6th Fleet. She is seen here on 5 May 1952. Text courtesy of DANFS. USN photo # USN 447517 courtesy of Scott Koen & ussnewyork.com. The rest of the subs are too far away for positive identification. Text courtesy of Dave Johnston (USNR). Photo i.d. courtesy of Mike Brood. USN photo courtesy of Submarine Force Library, courtesy of Ken Hart. 230k Irex (SS-482) departs New London for Northern Run, 1962. Photo courtesy of John Hummel, USN (Retired). 33k Crew of the Irex (SS-482) during swimming call, February 1962, possibly off Puerto Rico. Courtesy of Ric Hedman. 35k Apparent weight of the sailors in the sail of the Irex (SS-482) is causing the boat to list to starboard, during swimming call, February 1962, possibly off Puerto Rico. Courtesy of Ric Hedman. 160k Irex (SS-482) underway, south of the Groton Sub Base just opposite the Coast Guard Academy in the Thames River. Possibly circa early 60's. 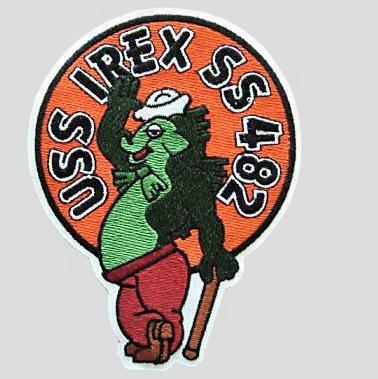 Text courtesy of Ken Robarge, STS 2 SS Irex Crew 1964-65. Photo courtesy of John Hummel, USN (Retired). 83k Stern view of the Hardhead (SS-365) with Irex (SS-482) inboard, circa 1964. USN photo courtesy of ussubvetsofwwii.org. 97k Irex (SS-482) underway, 1964. USNHC photograph . 702k Nine page Welcome Aboard PDF of the Irex (SS-482), circa 1968. Photo courtesy of Scott Koen & ussnewyork.com.